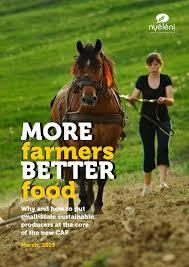 More farmers, better food – new report suggests instruments for the CAP – Cultivate! Sustainable small farmers should be put at the core of EU agricultural policy, according to a new paper released this week. It proposes concrete instruments for the new Common Agricultural Policy of the European Union. The publication ‘More farmers, better food’ comes ahead of a key vote in the European Parliament’s Agriculture Committee in early April 2019, and represents the position of the Nyeleni Europe and Central Asia Platform for Food Sovereignty, a pan-European coalition of farmers, peasants, pastoralists, fisherfolk, Indigenous Peoples and environmental organizations in regards to the EU’s Common Agricultural Policy (CAP). a) Secures a fair income for farmers and farm workers. b) Ensures decent working conditions for everyone working in the food system. 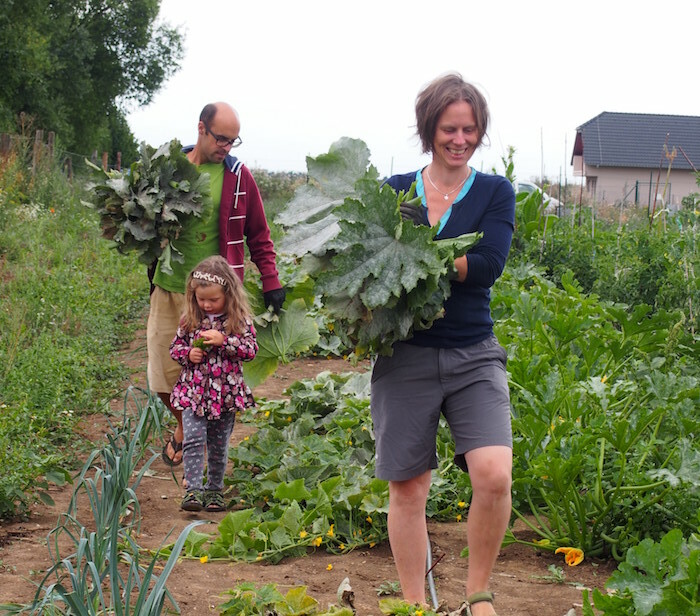 c) Facilitates and protects access to and rights over farmland for small-scale sustainable producers and new entrants. d) Prevents destabilisation of markets at the local, national, European and international levels. e) Encourages short supply chains and strengthens local and regional markets that enable an enhanced connection between rural and urban areas. f) Respects the right to food and decent livelihoods of small-scale producers in the global south. Furthermore, the report states, the new CAP should facilitate more sustainable consumption, diets, and lifestyles. The right to commonly-owned knowledge, innovations, and healthy and accessible land and natural resources must be upheld. And, argues the report, the CAP and other relevant policies must be subject to transparent and open decision-making processes. The report provides suggestions for specific instruments to achieve these goals. The Nyeleni Europe and Central Asia network urges the European Parliament’s Agriculture Committee to vote in favor of a coherent CAP for people and nature. This means voting for capping payments to big farms, and maximizing the redistribution of direct support to small and medium farms; a move that would send an unwavering signal that land concentration and expansion are not the way forward. The CAP has made the EU extremely dependent on cheap imports from regions with far lower environmental and social standards.